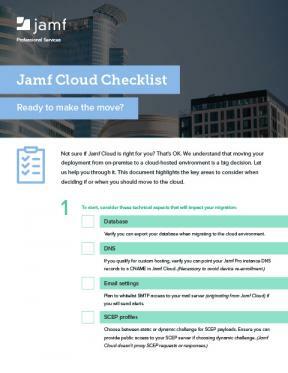 Not sure if Jamf Cloud is right for you? That’s OK. We understand that moving your deployment from on-premise to a cloud-hosted environment is a big decision. Let us help you through it. This document highlights the key areas to consider when deciding if or when you should move to the cloud.